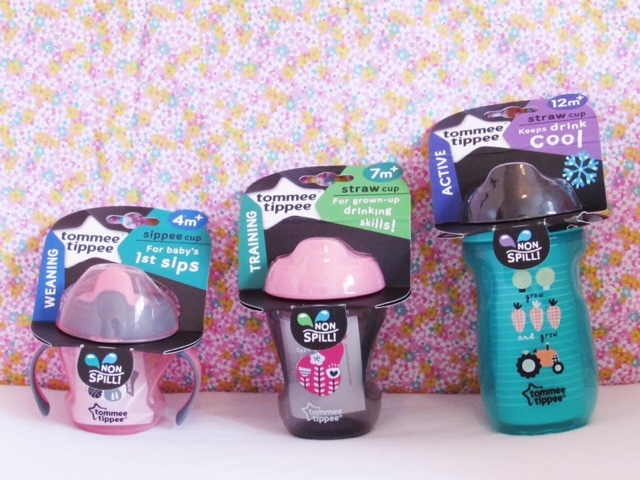 NEW RELEASE: The Exciting Tommee Tippee Cup Range plus a GIVEAWAY! 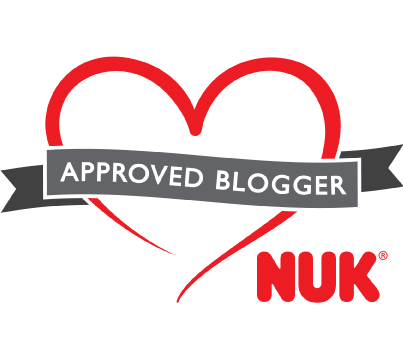 A couple of weekends ago we visited The Baby Show at the NEC in Birmingham, which was an incredible day out (you can read more about it here). While we were there we visited the Arla Big Milk stand, where Tommee Tippee were joining up with Arla Big Milk to launch their exciting new range of cups. Firstly let me explain what Arla Big Milk is if you've not heard of it before. It's a brand new, exciting concept that sees full fat milk fortified with Vitamin D, A and Iron. The milk is aimed at children are transitioning from either formula or breast milk onto cow’s milk. As formula and breast milk provide children with all of the necessary nutrients, transitioning to cow’s milk can be a worry for parents. 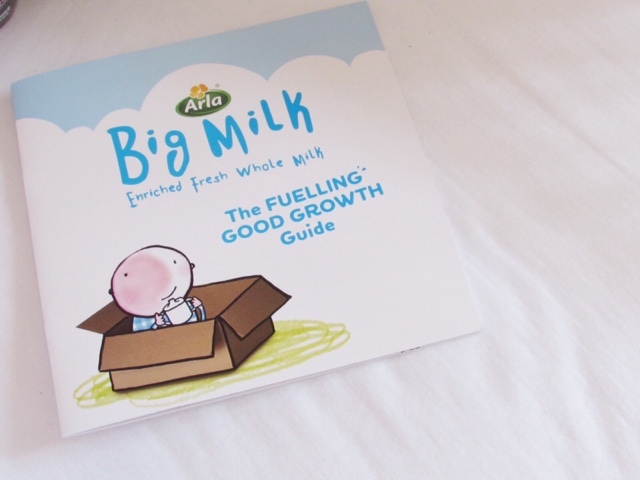 So Arla created 'Big Milk', filled with extra nutrients to help keep our children happy and healthy. The vitamin D is necessary for normal growth and development of bones, vitamin A which contributes to a child's normal development and growth, as well as keeping eyes, skin and the immune system healthy. The iron contributes to normal cognitive development of children. Arla Big Milk is an easy way to make sure your children are getting all of these important nutrients. I love that they've made the packaging very child friendly and I will definitely be buying this milk when the time comes for Isabella to start drinking cow’s milk. It's available from most major supermarkets; I've seen it in our local Asda. 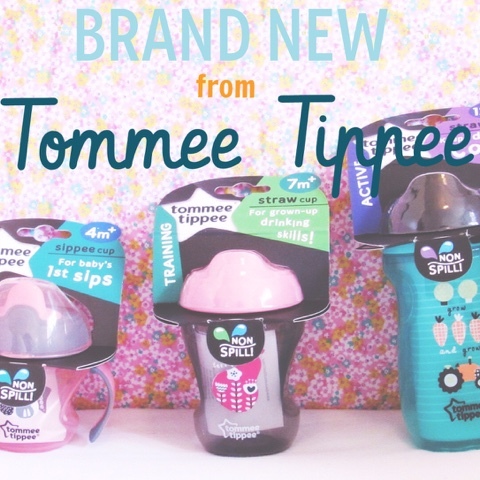 Now onto the exciting new launch from Tommee Tippee - their new range of cups! After conducting a lot of research into what parents look for in a cup for their child Tommee Tippee found that too often the packaging, range and options were too complicated. So they endeavoured to simplify the options, but still adhere to every child and parents needs. 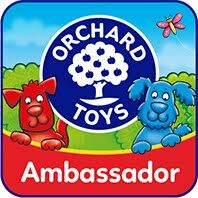 The cups are available in three sizes - 4 months + weaning cup, 7 months + training cup and 12 months + active cup. As you can see from the photo, these are clearly labelled and help parents identify which size cup they need for their child. 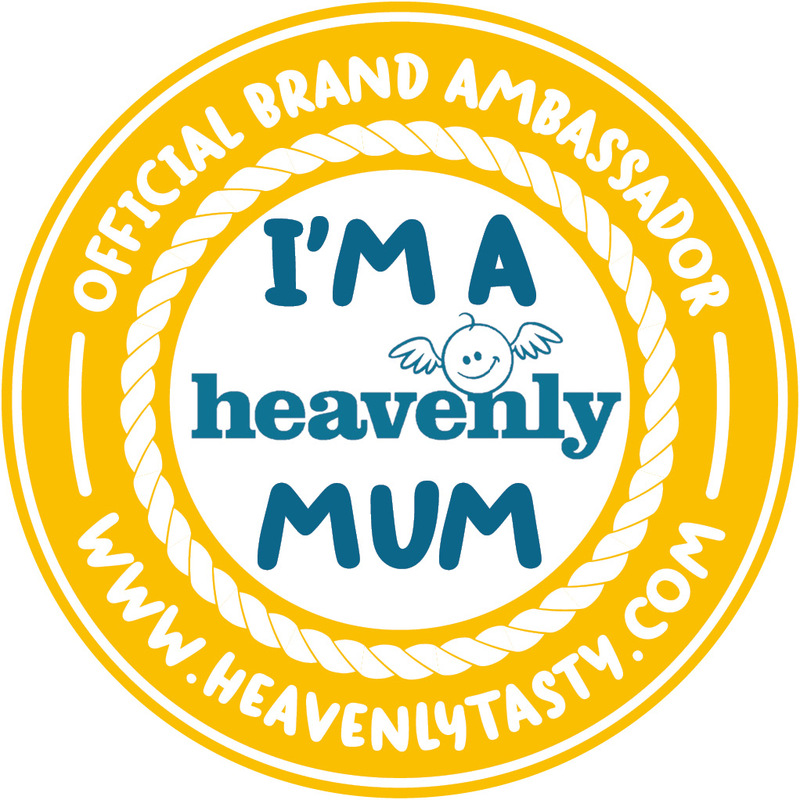 As a new parent myself this is extremely appealing, as the whole weaning process seems like a scary, complicated journey at the moment. I know I still have quite a few months before we will start weaning, as Isabella is only 2 months old, but time is flying by so I'm in no doubt that the time to buy these cups and start weaning will be here soon! Each stage cup is available as either a sippee cup or with a straw, again allowing parents to buy the cup they want to give to their child or the type of cup their child already likes to drink out of. Personally, the straw cups appeal to me because you can easily flip the straw down and it’s protected if the cup is dropped. Though sippee cups do come with a protective lid too. Another clever feature of this new range is that the lids are interchangeable between the different stage cups. This is perfect if your child really likes drinking out of a certain lid but they need to go onto the bigger cup size, you can just screw the lid into the bigger cup without an issue. The design of the cups is so cute, with a range of designs suitable for both girls and boys. I really like that the cute design is partnered with functional features, such as the interchangeable lids and the no spill attribute. Who wants water spilt all over the carpet/sofa/bed/anywhere a child goes?! The no spill feature is brilliant and an improvement from the old original Tommee Tippee cups, which weren't spill proof. 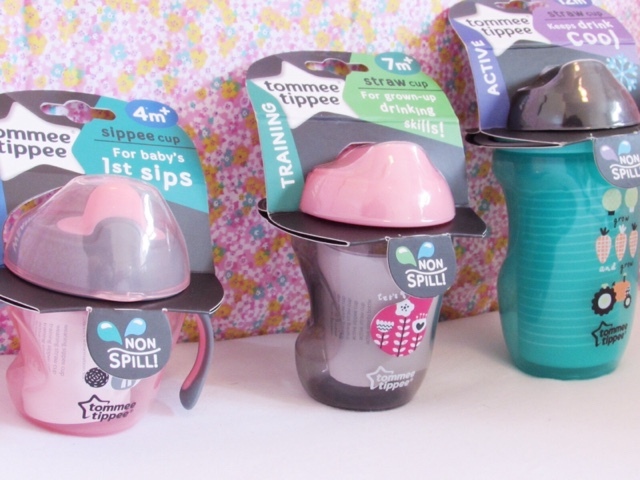 The lovely people at Tommee Tippee have given me three cups, one for each stage, to giveaway! 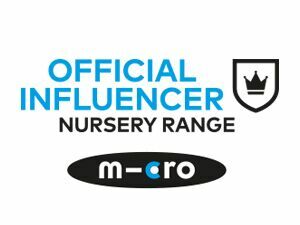 If you're like me and haven't started the weaning process yet, then this is the perfect opportunity to win all of the cups you'll need to take them through weaning. 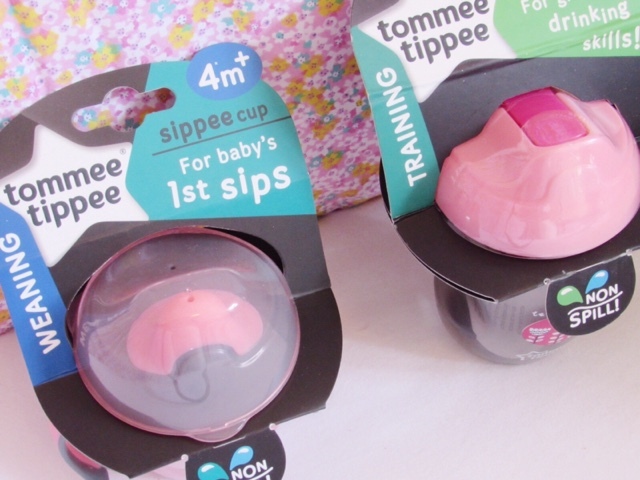 However if you already have a little one that's weaning or enjoys using cups and you want to give these brand new Tommee Tippee ones a go then of course you're welcome to enter too. The three cups can be seen below, these will be the exact cups that you will receive if you win. To enter all you need to do is complete the Rafflecopter below and keep those fingers crossed! I'm afraid this is a UK only giveaway. What do you think of the new Tommee Tippee cup range?